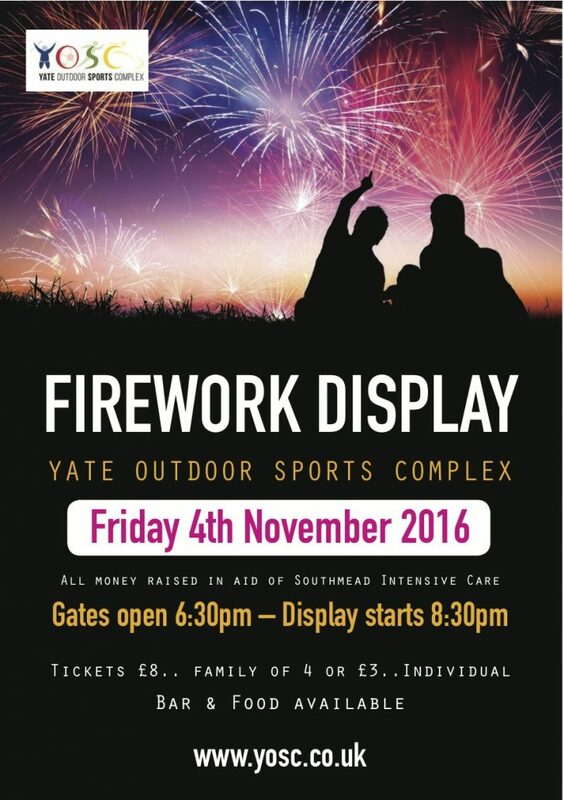 Tickets are selling well for our fireworks display this Friday 4th November, but there are still a few left. To buy them visit the YOSC Club house where they are on sale at the bar. Once they are sold out there will be no entry on the night without a ticket so to make sure buy your ticket now! The club house is open all day Monday and Friday (9.00am ’til 10.00pm) and from 5.30pm Tuesday, Wednesday and Thursday. To ease any potential congestion in the area if you can walk or cycle to the event it would be greatly appreciated. The Bar and Cafe will be open from 6.30. We hope to see you there!